BIG-IP provides Local Traffic Policies that simplify the way in which you can manage traffic associated with a virtual server. You can associate a BIG-IP local traffic policy to support selective compression for types of content that can benefit from compression, like HTML, XML, and CSS style sheets. These file types can realize performance improvements, especially across slow connections, by compressing them. You can easily configure your BIG-IP system to use a simple Local Traffic Policy that selectively compresses these file types. 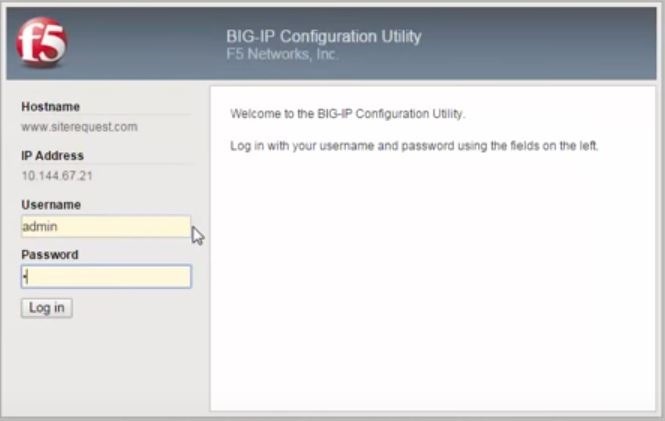 In order to use a policy, you will want to create and configure a draft policy, publish that policy, and then associate the policy with a virtual server in BIG-IP v12. The first thing you’ll need to do is create a draft policy. On the main menu select Local Traffic>Policies>Policy List and then the Create or + button. This takes us to the create policy config screen. We’ll name the policy SelectiveCompression, add a description like ‘This policy compresses file types,’ and we’ll leave the Strategy as the default of Execute First matching rule. This is so the policy uses the first rule that matches the request. 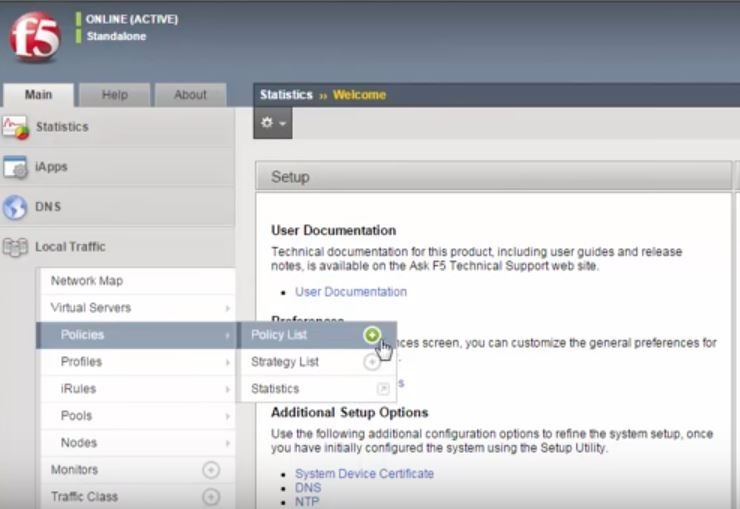 Click Create Policy which saves the policy to the policies list. When saved, the Rules search field appears but has no rules. Click Create under Rules. This brings us to the Rules General Properties area of the policy. We’ll give this rule a name (CompressFiles) and then the first settings we need to configure are the conditions that need to match the request. Click the + button to associate file types. We know that the files for compression are comprised of specific file types associated with a content type HTTP Header. We choose HTTP Header and select Content-Type in the Named field. Select ‘begins with’ next and type ‘text/’ for the condition and compress at the ‘response’ time. We’ll add another condition to manage CPU usage effectively. So we click CPU Usage from the list with a duration of 1 minute with a conditional operator of ‘less than or equal to’ 5 as the usage level at response time. Next under Do the following, click the create + button to create a new action when those conditions are met. Here, we’ll enable compression at the response time. Click Save. Now the draft policy screen appears with the General Properties and a list of rules. Here we want to click Save Draft. Now we need to publish the draft policy and associate it with a virtual server. Select the policy and click Publish. Next, on the main menu click Local Traffic>Virtual Servers>Virtual Server List and click the name of the virtual server you’d like to associate for the policy. On the menu bar click Resources and for Policies click Manage. Move SelectiveCompression to the Enabled list and click Finished. The SelectiveCompression policy is now listed in the policies list which is now associated with the chosen virtual server. The virtual server with the SelectiveCompression Local Traffic Policy will compress the file types you specified. Congrats! You’ve now added a local traffic policy for selective compression! You can also watch the full video demo thanks to our TechPubs team. Peter is an F5 evangelist for security, IoT, mobile and core. His background in theatre brings the slightly theatrical and fairly technical together to cover training, writing, speaking, along with overall product evangelism for F5. He's also produced over 350 videos and recorded over 50 audio whitepapers. After working in Professional Theatre for 10 years, Peter decided to change careers. Starting out with a small VAR selling Netopia routers and the Instant Internet box, he soon became one of the first six Internet Specialists for AT&T managing customers on the original ATT WorldNet network. Now having his Telco background he moved to Verio to focus on access, IP security along with web hosting. After losing a deal to Exodus Communications (now Savvis) for technical reasons, the customer still wanted Peter as their local SE contact so Exodus made him an offer he couldn’t refuse. As only the third person hired in the Midwest, he helped Exodus grow from an executive suite to two enormous datacenters in the Chicago land area working with such customers as Ticketmaster, Rolling Stone, uBid, Orbitz, Best Buy and others. Writer, speaker and Video Host, he's also been in such plays as The Glass Menagerie, All’s Well That Ends Well, Cinderella and others. IT strategy defines technology related objectives for a corporation through a set of guiding principles and tactical plans. By clearing charting the course through a set of sub-departments within IT that work with each other in a matrixed fashion, the execution of these tactical plans will be carried out. The corporationâ€™s customers and employees utilize the technologies planned in IT strategy to create value for the corporation and march towards their own objectives in unison. On the other hand, IT strategy considers the objectives of the customers and employees to facilitate and transform their functions towards building corporationâ€™s competitive edge.